My daughter is fascinated with super cute netbooks we saw on display at SM Marikina. The gadget is handy but too expensive. She really wishes to own one someday. She wants her own netbook to help her with her school research and hobby. But since we can’t afford to buy one right now or even the near future, she’s willing to wait. She’s still happy with the performance of our old reliable laptop. 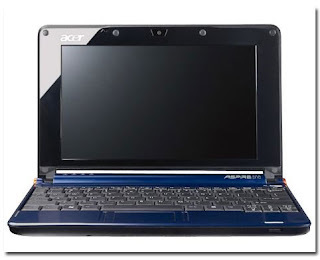 This entry was posted in Uncategorized and tagged gadget, netbooks on October 28, 2010 by Yami. i love the color, its my fave. Hope you get it. i love your layout, so nice! naku sis, daughter always want a netbook,, haay, she always want what's new in the market. btw, na miss kita sa lunchdate.. Nuts: thank you sis. bilhan mo na kasi si ate. 😉 iba ang mga bagets ngayon ano mas updated sila sa latest gadget sa market. Miss u too, sayang nga eh. 'Di bale sa birthday ni Sati magkikita tau. sana nga tapos na ang project ko by that time, kundi MIA ako sa okasyon, lagot ako kay Peh. hihi.